– known also as: Rose Felicity, Valeria Varita, Dolca Picarol, A Fada Carolina, Isa Belletje, Sofie Fehar, Felicity Bell, Tunderi Lonka, Lili de Wendsfeetjie, Felicity Wunschfee amongst others. 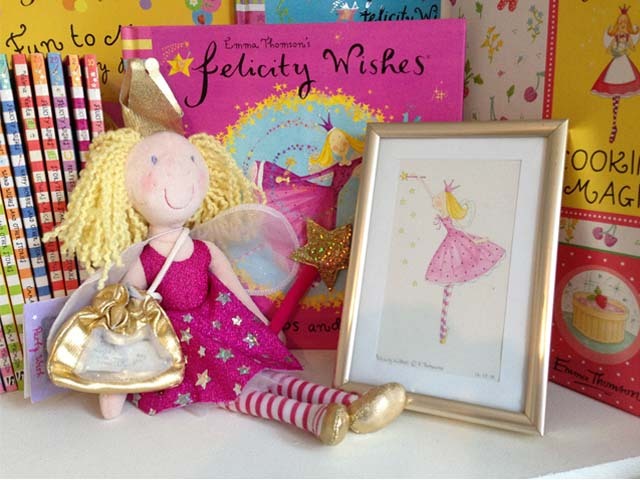 Created in 1999 Felicity Wishes has been published in 22 different countries, in 98 picture books, pop-up books, first read fiction books and activity books about her, her friends and her fairy world. Sales of the books are now in excess of 6 million copies. 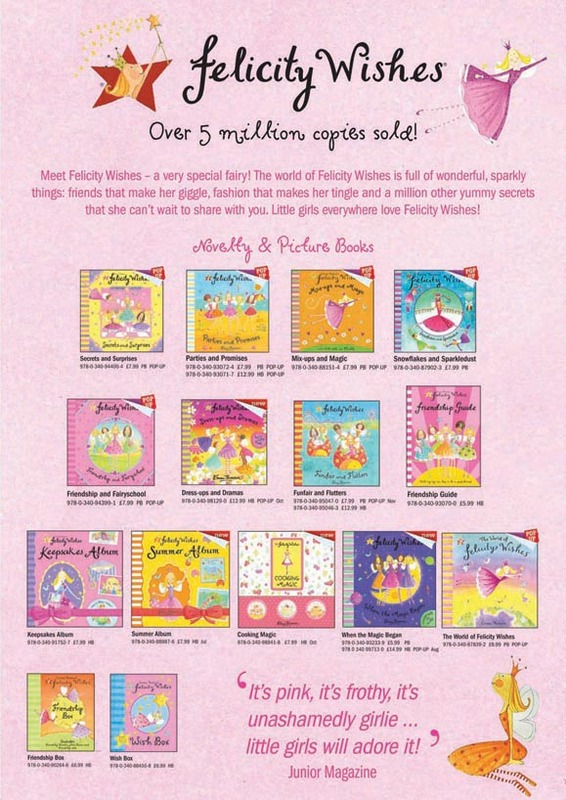 Between 2000 and 2007 Felicity Wishes was a UK licensing phenomenon. The fairy best friend to girls all over the world featured on merchandise in every multiple high street retailer in the UK. The range included toiletries, clothing, shoes, apparel, plush, confectionery, stationery, greetings cards, her own partwork magazine series & books. Currently Felicity Wishes features in the UK in Blossom Magazine. You can find Emma Thomson talking about Felicity Wishes here. News and Updates Follow @FelicityWishes2 and here on instagram.